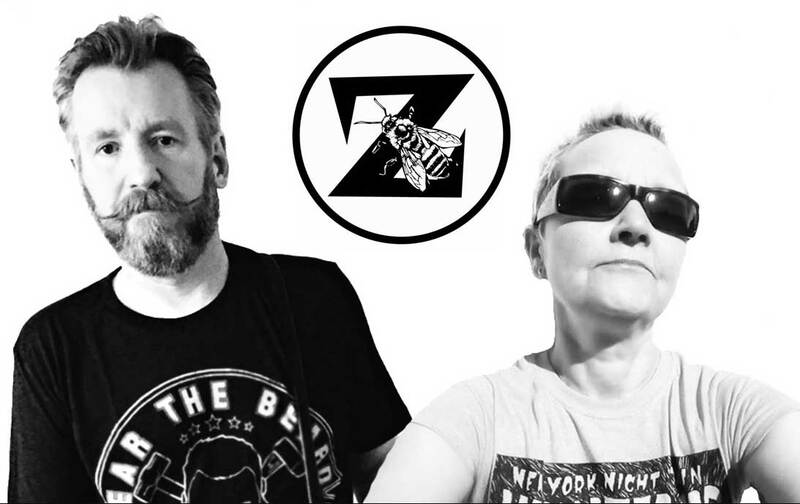 I think I was neck deep in my second ever 30 Albums/30 Days thread when I caught wind of Zanti; the new project by Derek Forbes and Anni Hogan. Forbes will be known by his “god of bass” reputation from his Simple Minds days to anyone who frequents PPM, and Anni Hogan has a cherished place in my Record Cell with her keyboard contributions to the imperial EMI period of Marc Almond’s solo career which I can never quite get past, even though I should. It’s past time to discuss this here, so let’s get to it. Right up front, I’m of the opinion that Forbes has frittered away his vast talent in a series of dead-end jobs after getting ejected from the Simple Minds airlock in 1985. X-S-M the “Ex-Simple Minds” band with Brian McGee and Mick MacNeil. Playing bass I could not hear on the dull, second Propaganda album. Re-recording a solo album made of Simple Minds tunes. Hosting a talk radio show in Los Angeles. Getting roped back into Simple Minds for a time, yet not being allowed to write material. Playing bass in Big Country! All of these were beneath him. But this… this sounds promising. So Hogan and Forbes met at a sci-fi film festival in 2015 and that sparked the notion of collaboration. FOrbes cribbed the name from the legendary “Outer Limits” episode and that was that. The two played everything, and they both sang. In some ways, this is exactly what an album made by the groove architect of Simple Minds imperial period and the player who allowed Marc Almond to indulge in his Scott Walker aspirations would have made but I never would have predicted exactly how this gelled to achieve that effect. Hogan and Forbes shared vocal duties here and come close to achieving some sort of Post-Punk Lee Hazelwood/Nancy Sinatra vibe that just rocks for days on end! Proof below. This is a track that unites not only the gorgeous siren vocals of Ms. Hogan [she sounds ready for Bond theme duties…] and a honey-drenched melodic sensibility, but also the metronomic krautrock power of the almighty Forbes for an unbeatable musical synthesis. But Mr. Forbes also takes lead vocals on these songs. His turn at the mic delivers material that veers towards the same sort of manly, yet vulnerable crooning that made Stefan Emmer’s “International Blue” album project such a hit with me a few years back. His nuanced vocals were a surprising delight here. Sterling music, and I need to get it into the Record Cell in all due haste. 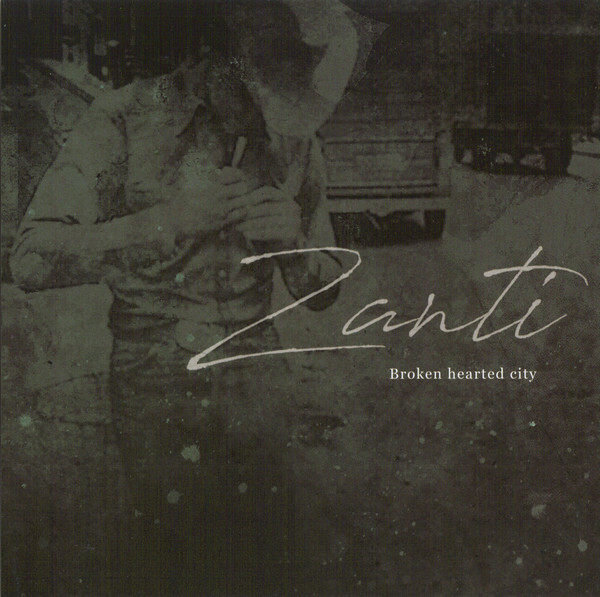 More, please, from ZANTi, who have their album out now on Downward Records. This entry was posted in Core Collection, Scots Rock, Want List and tagged 2018, Anni Hogan, Derek Forbes, Zanti. Bookmark the permalink. chasinvictoria – Yeah! It’s pretty darned fabbo, if I say so myself. And it doesn’t exactly hurt to see “Danger Diabolik” repurposed to such great music! Again, I point to the “International Blue” album from Stephen Emmer a few years back as a companion piece. Did you ever score a copy? Marvelous stuff! I’m digging this too. I just love the totally out of left field quirkiness. Great visuals, great sounds, but who could have foreseen this? Totally original yet totally familiar. Planet Sweet has a lot going for it. At the instrumental coda, I couldn’t help thinking, why wasn’t the sound of Simple Minds on OUAT? There is a quiet menace to the synths as the song draws to a conclusion. It reminds me of the synths that Logan Sky created for Visage – wavering, fragile, but insistent. You Will Be Mine reminds me of Marc Almond, Scott Walker and Coil. There’s a darkness, an sexual edge to the song that is quite fascinating. Echorich – Now there’s a thought! ZANTi have not yet played out live but they would love to do so. What better sort of opening act could they pick other than Steven Jones + Logan Sky? It would be house on fire, time! Mr. Ware – After a 33 year period with nought but a guest appearance on the first Billy Currie solo album being worth his salt, it seems like Mr. Forbes has really delivered. Kudos to Ms. Hogan for helping to catalyze this. The video for Will You Be Mine is intoxicating weaving images from Brian De Palma’s best works with some fabulous 60’s film to create a gorgeous dreamscape!